Is it ok to brag? Thanks! 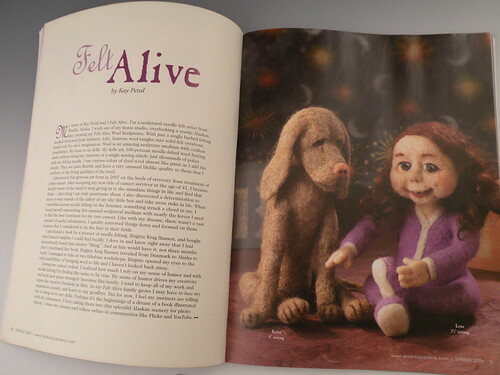 I hoped so.... My dolls were featured in Art Doll Quarterly, Spring 2009. What an honor! 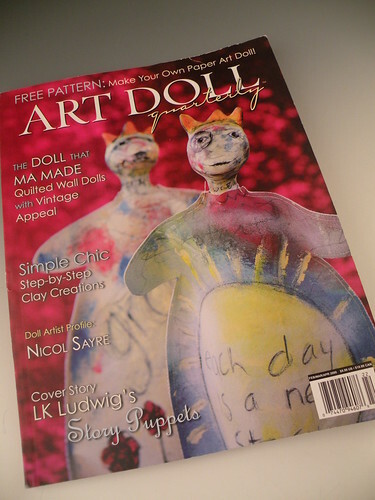 A beautiful magazine and my dolls look bigger than life in the pages. HECK YEA!!! Congratulations! you deserve any and all bragging rights!! You're work is worth it!! congratulations and brag on! 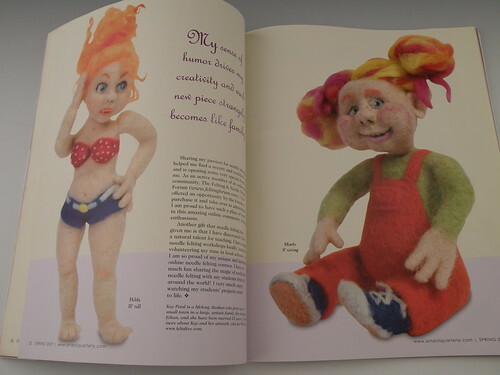 i would be thrilled to see one of my dolls published somewhere--you should be proud of your hard work! 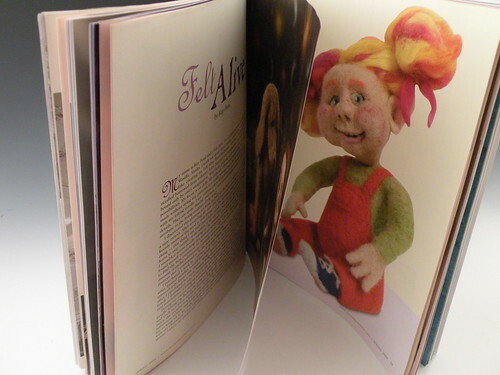 i am actually in the middle of my first felted doll and found your blog after i googled "needle felted sculpture." 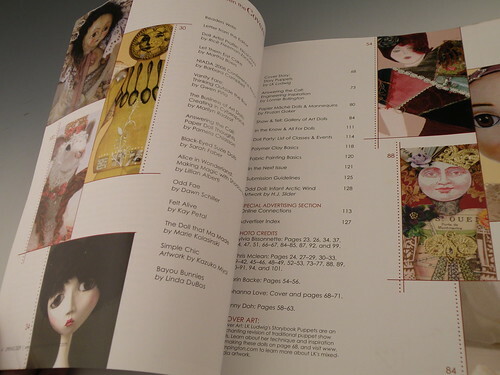 i am so glad i did--your work is gorgeous! Congratulations on the recognition for your hard work, you obviously deserve it.